I wasn’t really sure what to expect when I planned my safari adventure. I knew I wasn’t going to be hunting. It’s almost impossible to actually hunt animals in the wild these days. I knew I wanted to see the animals, not kill them, and trying to set something up that would allow me that opportunity, but not crowd me onto a bus with two dozen other people proved difficult to come by. 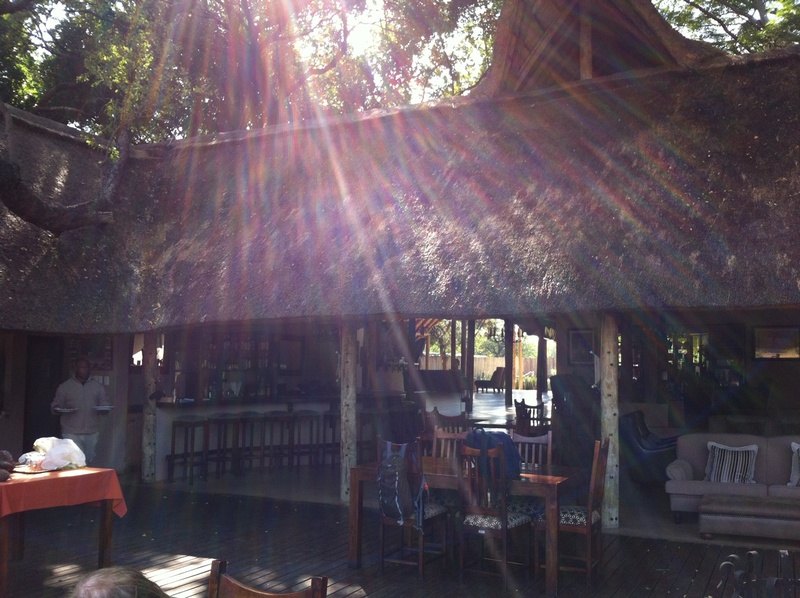 Luckily I ended up at the Simbavati Lodge, just on the edge of Kruger, in South Africa. 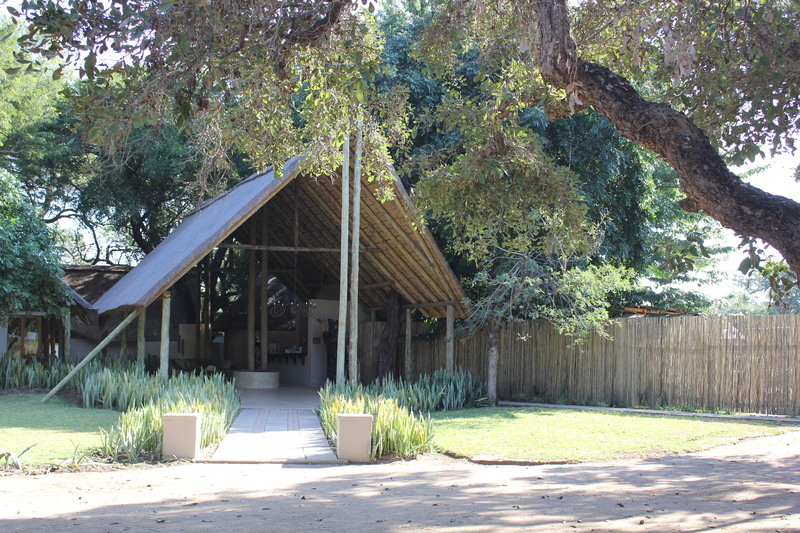 I can’t speak highly enough about Simbavati, it’s staff, facilities, and accommodations. I wanted something that would give me a “rustic” experience, but at the same time let me experience just a touch of the old world colonial atmosphere. Simbavati has landed on a perfect combination of both. When we arrived, we were personally greeted by Haley and the rest of the staff, with a smile and handshake, and a conversation about the history of the lodge, its activities, and rules. The staff was warm and personable, and immediately made us feel welcome. I was told that the days started early. We would be awakened at 5:30 each morning and that our safari outings would leave at roughly 6:00 a.m. After three hours of game driving, we would return to the lodge for breakfast. The afternoon was ours to sleep, shower, lounge by the pool, or just to enjoy the day. 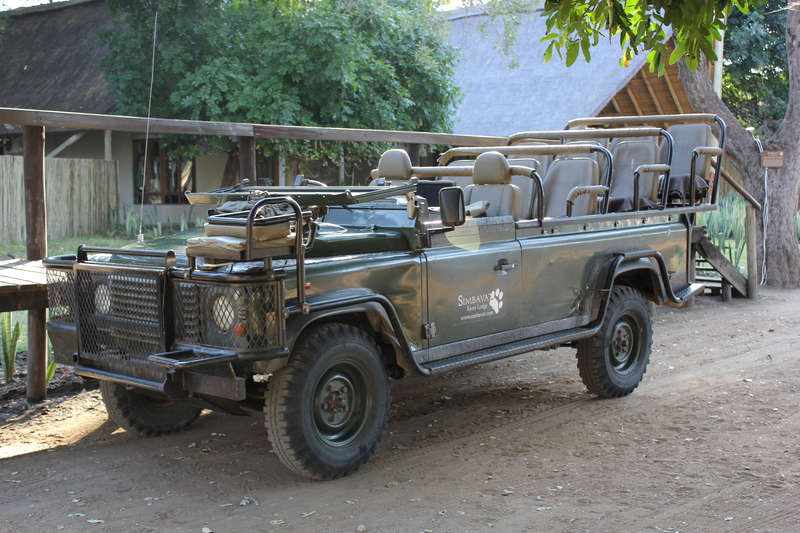 At 2:30 lunch would be served, followed by another game drive, and then dinner upon our return. When I was ready for bed, I would be escorted back to my tent. 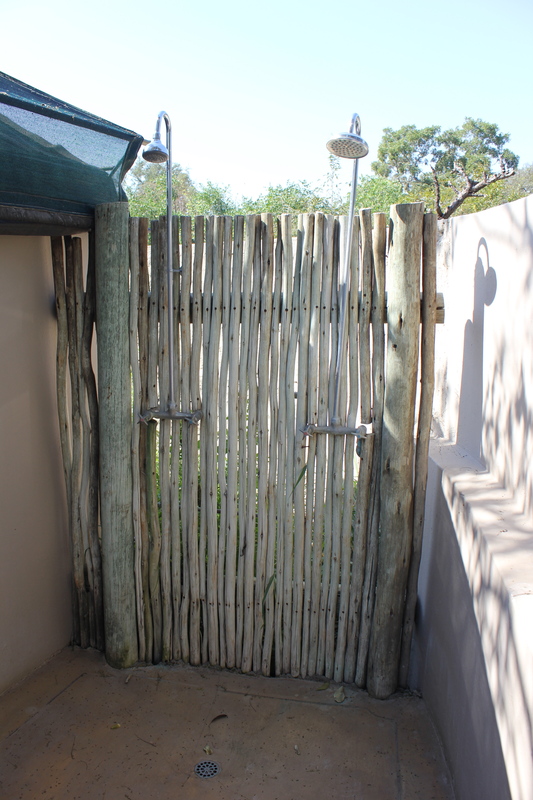 The lodge has no fences around it and animals come and go at will. It’s common for a leopard to weave through, or even a stray hippo to graze on shrubs in the guest area. The schedule works perfectly. It allows guests the balance of adventurous outings and downtime in the lazy afternoon heat. The accommodations at Simbavati were exactly what I wanted. The main lodge is completely open to the elements, but it is well appointed with leather sofas and chairs, and includes a deck that overlooks the river that flows behind the lodge. Monkeys whoop from the trees above and rhinos, hippos, waterbucks, and even an elephant could be seen across the way. The accommodations aren’t really “rooms” per se, though a few family style hotel rooms are on the grounds. 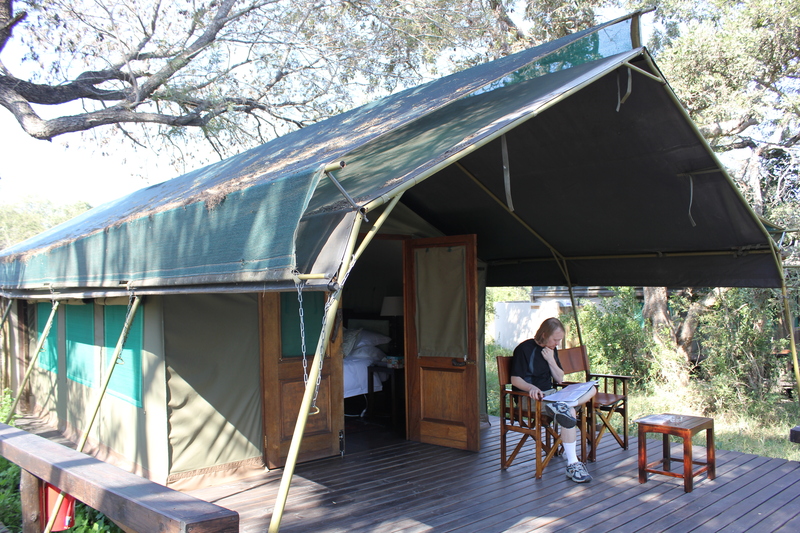 Instead, the lodge has luxury tents, which give you the “Out of Africa” experience you want. Each tent has it’s own deck, beds, mini bar, private bathroom, and each has either an outdoor shower or bathtub that is private, but yet will give you the thrill of being completely naked in the great outdoors! The meals were all delicious, and I now can say that I’ve had lamb’s neck (complete with vertebrae). Every meal we had was big and ranged from very European to very traditionally African. The only issue, and this is a small one, is that while I was there the water filtration system had problems, and the water tended to have a very salty taste. Bottled water was provided to all of the guests, and this was at worst a minor inconvenience. For our drives we headed out in modified Range Rovers, that could hold up to 10 people, but we never had more than 8, and most of the time only 4 people were in the vehicle which allowed us all to get to know each other and move around freely. We were driven around by Diff, a local, experienced in tracking down where the animals were. We successfully came up on the “Big 5” (rhino, elephant, cape buffalo, leopard, and lion), and everything else from impalas to a massive spider, to a termite mound which we climbed! It was amazing to see how close we actually got to the animals as they moved around freely, slept, and ate. In between the game drives and the meals, we were free to do as we pleased, and for me this usually meant writing, sleeping, looking at my pictures, and having an afternoon beer. A member of the staff, Benedict, introduced me to Castle brand beer and I must say, it quickly became a favorite. Yum! Simbavati is a bit secluded, but trust me, that’s what you want in a safari experience. We drove past the other lodges, one was actually directly across the street from the airport, and to me, planes flying overhead, would probably ruin the mystique of the experience. 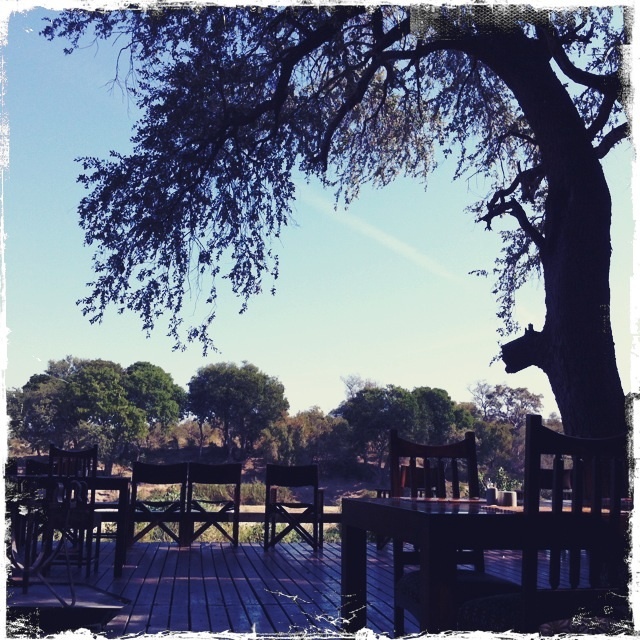 My three days at Simbavati River Lodge left me with a taste for South African safaris, and fingers crossed, one day I’ll be sitting on their deck again, watching the river flow by. Want to join you on that return trip! Great piece, looks like an amazing place! Agree , with all of your comments .Was great sharing the experience with like minded travellers. So special will remember the daily morning and night game drives seeing something different every time we went out. Thanks to Diff and his spotters. Look forward to seeing more pics. Bob and Chris the Aussie .couple sharing with you drives, and all the other excitement. So great to hear from you! I hope the rest of your trip went well!